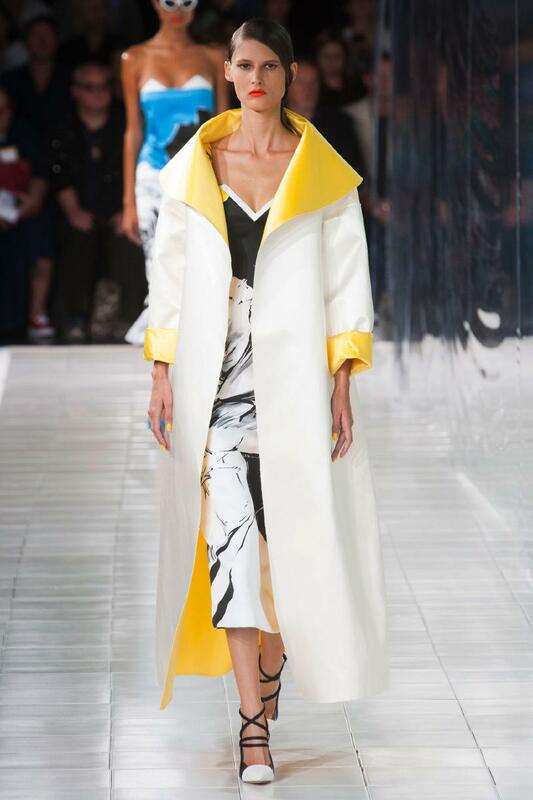 Nepalese designer Prabal Gurung who is now well entrenched in the American Fashion Industry showcased his spring-summer 2014 collection on Day 3 at New York Fashion Week. I saw the show online and was impressed by the show presentation. 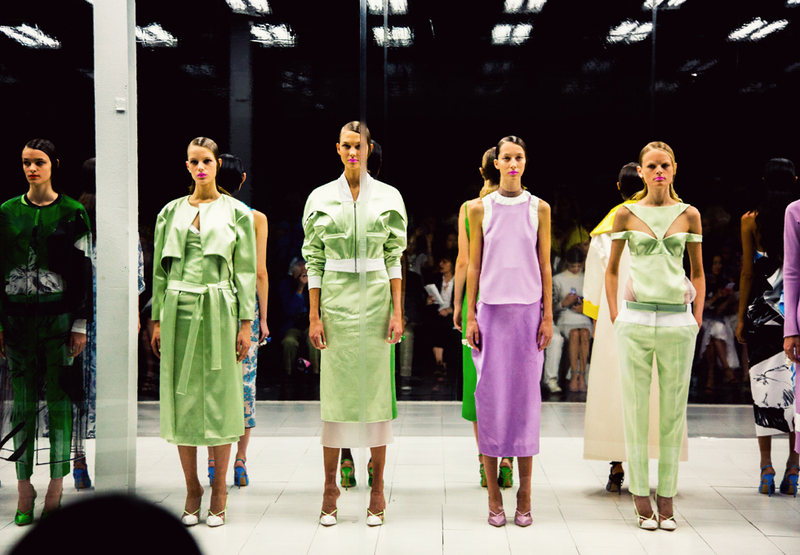 Models entered all at once and stood in line on the white tile platform, surrounded by a clear plastic screen. 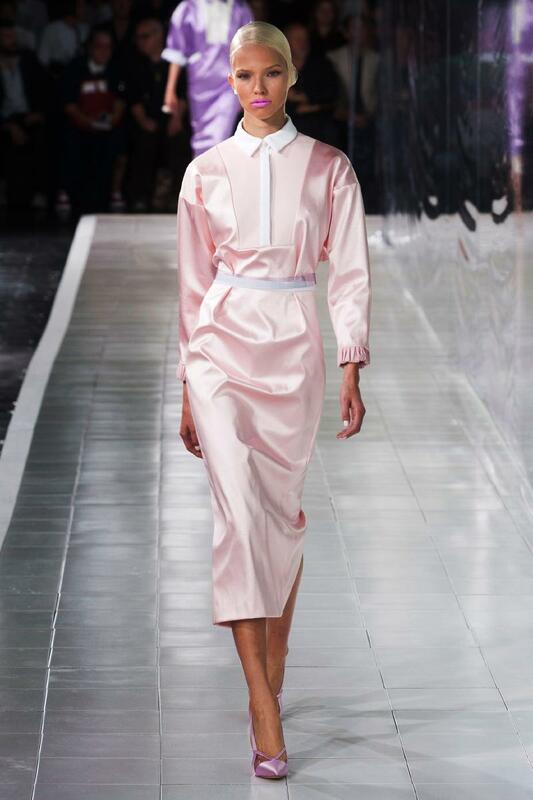 The collection as per Gurung showcased the, ‘Mysterious side of women‘. 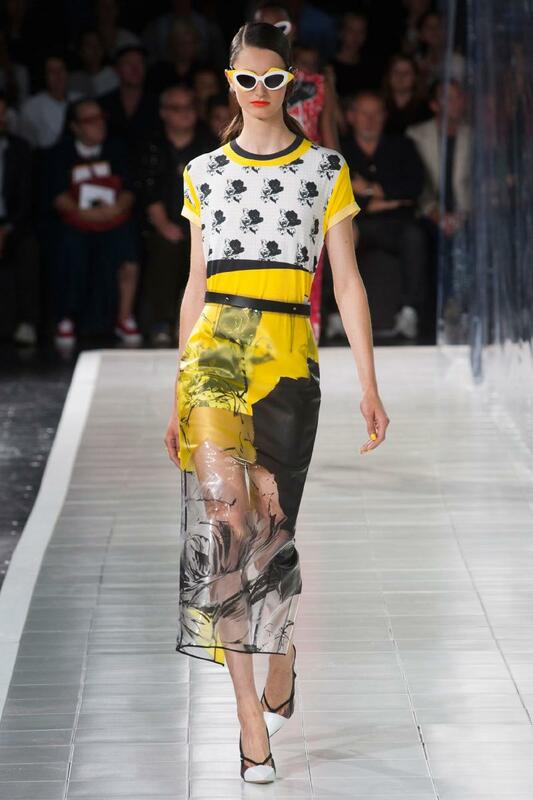 Well what caught my attention was that each and every garment looked so different when the models turned around. The front of the garment and the back of it had a total different look. 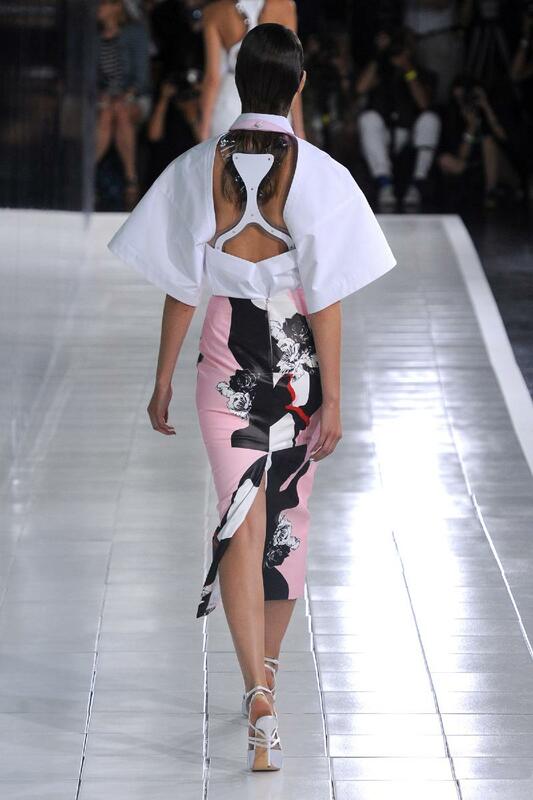 Prabal Gurung deftly used ‘back-brace’ or what you can call ‘harness-back’ detailing. 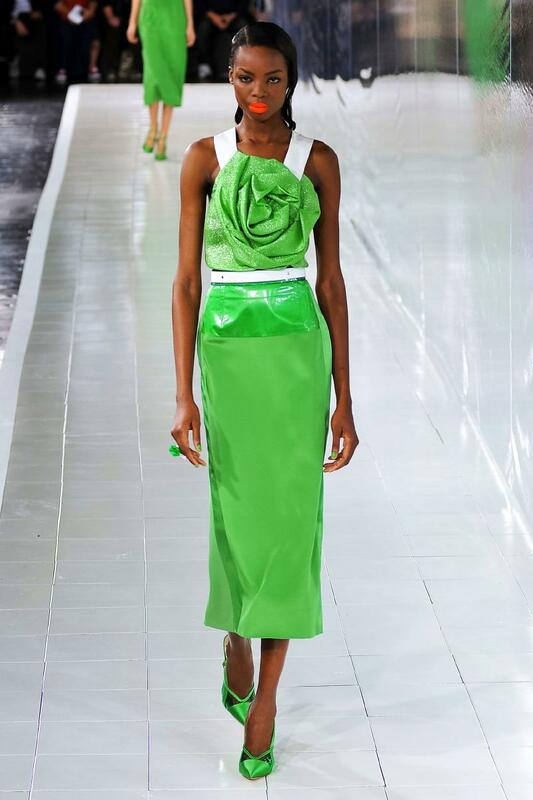 Extreme wasp-waisted midi length skirts, folded bustiers, bombers and jackets created out of duchesse satin, tulle and lacquered finish fabric dominated the show. 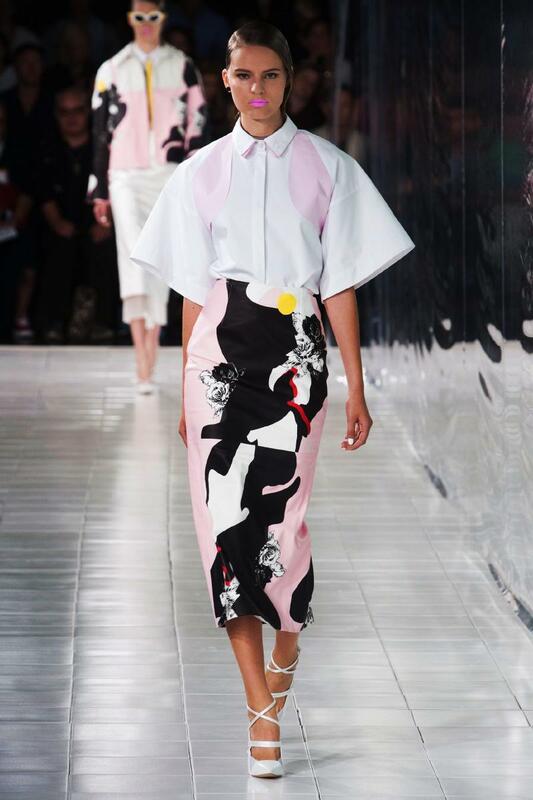 Gurung also used bold brush strokes on PVC and Perspex to give a sporty feel to the collection. It was a fifties inspired look and that ‘Mysterious Woman’ that inspired Gurung to create the collection couldn’t have been anybody but Marilyn Monroe. Jack how does one write in to you personally? Other than this comment box.